Sewing machines are a wonderful use although many people do not see the use of it. Everything that a person likes in clothes was made from a sewing machine. Everything a person wears has a background; they all come from the same roots, the sewing machine. Sew machines have taken much stress from schools due to making uniforms so students can look exactly like each other. Uniforms are an important factor because children are being bullied because of their appearance, but enforcing uniform into schools with the school logo decrease a reason why students would get bullied. Bullying is all over the country; it is also one of the most common ways that make children commit suicide. Creating uniforms in our school systems helps many families and students. 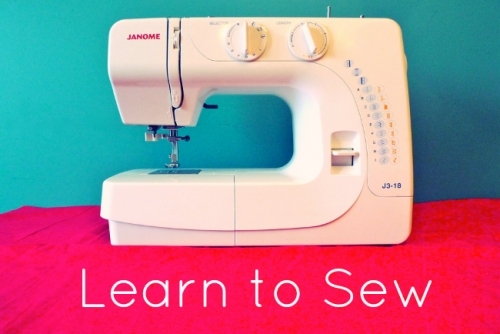 Sewing machines are also important because it allows students at a younger age to pursue their dreams; for example, Lulu_hilton on twitter started her dreams early from a simply sewing machine although it does not seem like much it impacted her in greater ways many people could understand. Instead of her being out on the streets she is being productive and creating dresses, shirts, skirts, pants, and much more while also making an earning. Lulu is also in high school, who is selling her creations. Without a sewing machine, she would not be getting so far in life at an early age. Lulu is not the only girl who is taking advantage of the sewing machine; there is also another student that is in high school name Kim, on twitter her name is half: she is the creator of Kim products. She is also creating many things for both genders and selling them. She is using her talents and the sewing machine to do wonders. The significance of the sewing machine has a great impact on the new generation. This generation has lots of potentials to change the world, and they are starting now in high school by using sewing machines. While creating clothes, these teenagers are learning responsibility by taking charge of what they love to do and creating a bigger scene. A device so small has a great impact on society that is overlooked. Yes, the machine is designed to produce clothes, but it is keeping teenagers busy and beginning to start them into businesses and marking. In a few months to years, these students will be on their way to college with more knowledge than others because they already started a clothing line. It is much deeper than a needle and a machine: this is our generation's being productive and changing the future to something amazing. The sewing machine has done many miracles and will continue to over the years as it is being introduced to new people.